Margaret Lea works in her father's antiquarian bookshop where her fascination for the biographies of the long-dead has led her to write them herself. She gets a letter from one of the most famous authors of the day, the mysterious Vida Winter, whose popularity as a writer has been in no way diminished by her reclusiveness. Until now, Vida has toyed with journalists who interview her, creating outlandish life histories for herself -- all of them invention. Now she is old and ailing, and at last she wants to tell the truth about her extraordinary life. Her letter to Margaret is a summons. Somewhat anxiously, the equally reclusive Margaret travels to Yorkshire to meet her subject. Vida's strange, gothic tale features the Angelfield family; dark-hearted Charlie and his unbrotherly obsession with his sister, the fascinating, devious, and willful Isabelle, and Isabelle's daughters, the feral twins Adeline and Emmeline. Margaret is captivated by the power of Vida's storytelling, but she doesn't entirely trust Vida's account. She goes to check up on the family, visiting their old home and piecing together their story in her own way. What she discovers on her journey to the truth is for Margaret a chilling and transforming experience. Much of the novel takes place in two grand estates -- Angelfield and then Miss Winter's. How are the houses reflections of their inhabitants? As the story unfolds, we learn that Margaret and Miss Winter are both twins. What else do they have in common? Margaret and her mother are bound by a singular loss -- the death of Margaret's twin sister. How has each woman dealt with this loss, and how has it affected her life? If her parents had told her the truth about her twin, would Margaret still be haunted? Books play a major role in this novel. Margaret, for example, sells books for a living. Miss Winter writes them. Most of the important action of the story takes place in libraries. There are stories within stories, all inextricably intertwined. Discuss the various roles of books, stories, and writing in this novel. Miss Winter asks Margaret if she'd like to hear a ghost story -- in fact, there seem to be several ghost stories weaving their way through. In what ways is The Thirteenth Tale a classic, gothic novel? Miss Winter frequently changes points of view from third to first person, from "they" to "we" to "I," in telling Margaret her story. The first time she uses "I" is in the recounting of Isabelle's death and Charlie's disappearance. What did you make of this shifting when Margaret points it out on page 204? Compare and contrast Margaret, Miss Winter, and Aurelius -- the three "ghosts" of the novel who are also each haunted by their pasts. It is a classic writer's axiom that a symbol must appear at least three times in a story so that the reader knows that you meant it as a symbol. In The Thirteenth Tale, the novel Jane Eyre appears several times. Discuss the appearances and allusions to Jane Eyre and how this novel echoes that one. The story shifts significantly after the death of Mrs. Dunne and John Digence. Adeline steps forward as intelligent, well-spoken, and confident -- the "girl in the mists" emerges. Did you believe this miraculous transformation? If not, what did you suspect was really going on? Dr. Clifton tells Margaret that she is "suffering from an ailment that afflicts ladies of romantic imagination" when he learns that she is an avid reader of novels such as Wuthering Heights, Jane Eyre, and Sense and Sensibility. What do you think he means by drawing such a parallel? 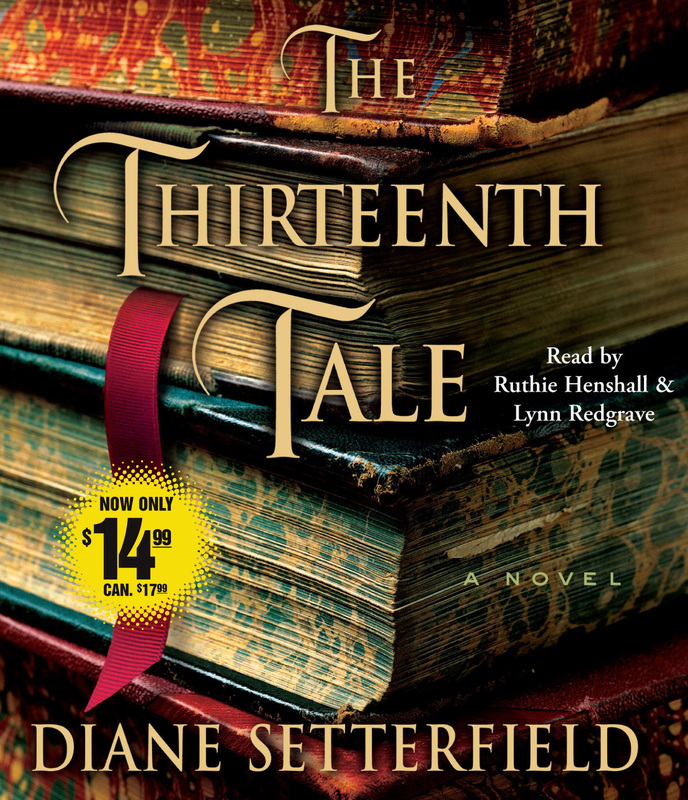 What other parallels exist between The Thirteenth Tale and classic 19th century literature? When did you first suspect Miss Winter's true identity? Whether you knew or not, looking back, what clues did she give to Margaret (and what clues did the author give to you)? Margaret tells Aurelius that her mother preferred telling "weightless" stories in place of heavy ones, and that sometimes it's better "not to know." Do you agree or disagree? The title of this novel is taken from the title of Miss Winter's first book, Thirteen Tales of Change and Desperation, a collection of twelve stories with a mysterious thirteenth left out at the last minute before publication. How is this symbolic of the novel? What is the thirteenth tale? Ghost stories abound in The Thirteenth Tale, and in many American towns and cities as well. Take your book group on a haunted house tour. You can find a haunt near you at www.hauntedhouse.com. If you're the host, give everyone a gift of Charlotte Bronte's Jane Eyre (or rent the movie). Research the Yorkshire Moors and the small market town of Banbury, England, the general region of the fictional Angelfield village and Miss Winter's private estate. You can start with information and photos at www.yorkshirenet.co.uk and www.absoluteastronomy.com/reference/banbury. Discover hidden treasures by taking a group trip to an antiquarian bookshop like the one Margaret's father owns. You can find one near you by visiting http://www.fearlessbooks.com/Antiquarians.html. Turn your next meeting into a traditional English tea party. To sample some delicious recipes, visit http://www.joyofbaking.com/EnglishTeaParty.html. Lynn Redgrave's many awards include two Golden Globes, two Oscar nominations, three Tony nominations and for Talking Heads, the Drama Desk, Obie, and Outer Critics Circle Awards. Her films include Georgy Girl, Gods and Monsters, Kinsey and Shine. 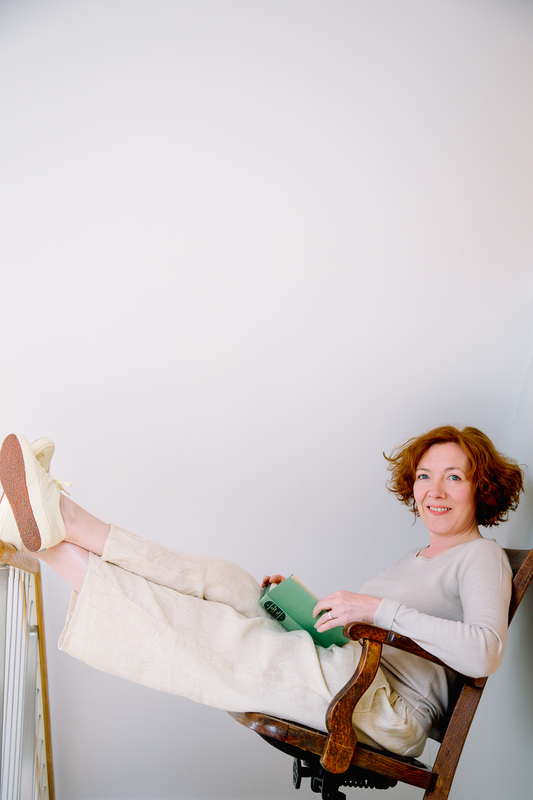 She has written three plays: Shakespeare for my Father, The Mandrake Root and Nightingale. Ruthie Henshall has appeared on Broadway in Chicago, Putting It Together, and Miss Saigon. She has also starred in numerous West End of London productions including Chicago, Crazy For You, She Loves Me (Olivier Award) and Les Miserables.